This new edition is comprehensive, clinically relevant, and thoroughly up-to-date. Since the publication of the first edition fourteen years ago, couples therapydriven, in part, by managed care’s requirements for accountabilityhas become increasingly integrative and research-based. This recognition is reflected in a number of new and powerful approaches and methods that are significantly impacting clinical practice and treatment results. These and other developments are incorporated into the second edition, which is nearly twice as long as the first. 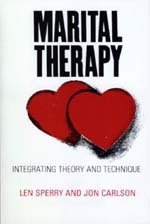 Couples Therapy retains a balance between the theoretical and the clinical, with ample description of techniques and methods and compelling case examples that illustrate theory and technique. Mental health professionals, family counselors, social workers, and other professionals will find this book to be a valuable resource in working with the changing pattern of the clinical practice of couples therapy. This classic book covers the changing marital scene with specifics regarding family structure, style of marriage, divorce, remarriage, and child-rearing practices. Social and cultural changes and trends are examined. The authors suggest a "couple-centered" approach to marital therapy and discuss ways to deal with anger, conflict, and choices, and emphasize the importance of communication skills. The text also addresses the biological and psychosocial dynamics of marriage and introduces theoretical orientations to marital therapy. 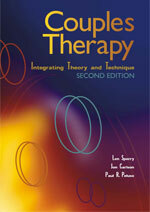 It provides you with a specific, workable treatment process, including assessment and intervention strategies. 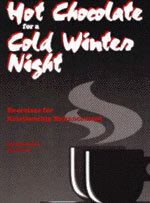 This book focuses on marital and couple relationship enhancement with a theoretical base of systems theory. The authors take the position that successful relationships are firmly grounded in strong, caring, nurturing behaviors and thus have focused on ways to facilitate such behaviors with the result that theyve produced a gem of a book full of exercises to break down barriers and teach lasting skills. The exercises for interpersonal growth in Hot Chocolate…provide experiences based on realistic situations and make role-playing easy. You'll find exercises on touching, love, grief, conflict resolution, guilt, genograms, and much, much more.